Eagles Point is a beautifully treed community featuring 1 & 2 story homes with 2-3 car garages. Most homes have a screened enclosed swimming pool with spacious yards, pond & creek views (Howell Creek). Conveniently located in Winter Springs with a short commute of 5 minutes to the 417 Expressway and only a 25 minute commute to downtown Orlando. Jeremy & Jody have helped many clients sell & purchase their home in Eagles Point. They are experts in Winter Springs and can help SELL your home, too! This family oriented Eagles Point community in Winter Springs features 106 homes which are zoned for children to attend excellent Seminole County Public Schools (Rainbow Elementary, Indian Trails Middle and Winter Springs High). Most yards in Eagles Point are about a 1/4 acre with a few being as large as 1 acre. Towards the back of the community, "The Enclave at Eagles Point" are custom built homes which were first built in 1995 - 1996. Lots were later sold to Ryland Homes which built the remaining homes in Eagles Point from 1997 - 1999. The community of Eagles Point is within a walking distance or short drive to great chain restaurants such as Carrabba's Italian Grill, Outback Steakhouse, Macaroni Grill, Sonny's BBQ, Chili's, BJ Brewhouse and Rock & Brews. Close proximity to the Fresh Market, coffee shops, fast food & take out restaurants such as Starbucks, Chick-fil-A and McDonald's as well as many more. Cross Seminole Trail (3 miles) a paved non-motorized recreational trail that will eventually connect with the Seminole-Wekiva Trail creating a 30 mile continuous trail through Altamonte Springs, Longwood, Lake Mary, Winter Springs, and Oviedo, and with the Cady Way Trail and the Orange County Trails System. Do you live in Eagles Point and are thinking of selling your home? 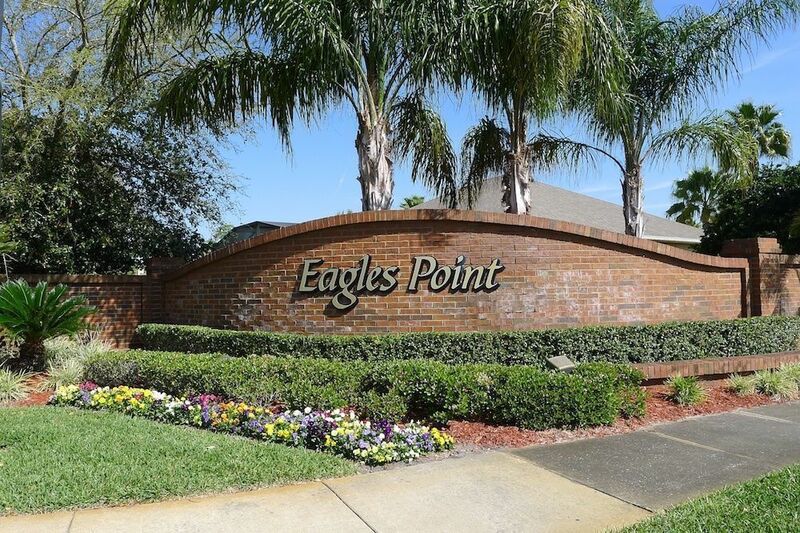 View our selection of available properties in the Eagles Point area.